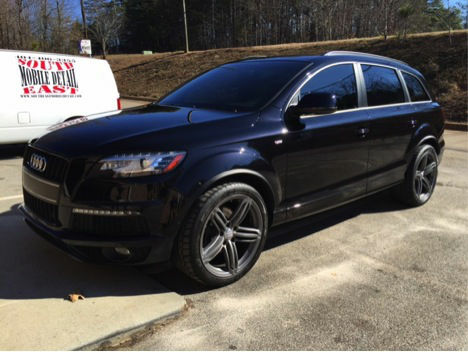 The Audi Q7 is quite the SUV. Plenty of power, nice plush interior, third row seating & most important: a head turner. 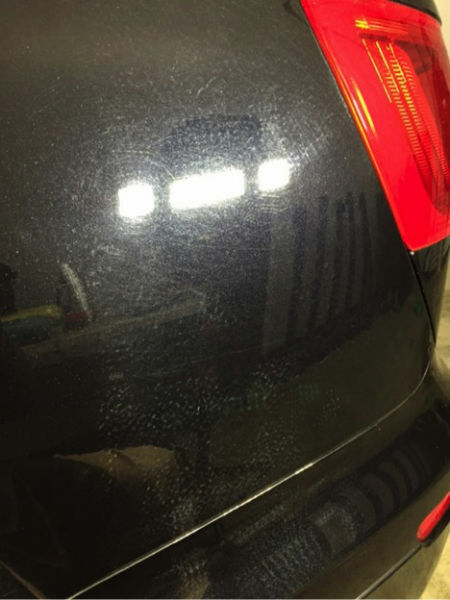 Especially after corrected and coated. 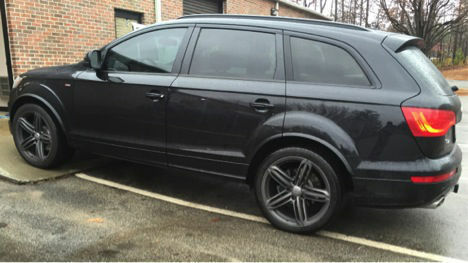 This Q7 was brought to me in serious need of a makeover. The vehicle was delivered to my shop on a Friday morning & had to be done by the next afternoon so I didn’t have time to mess around. 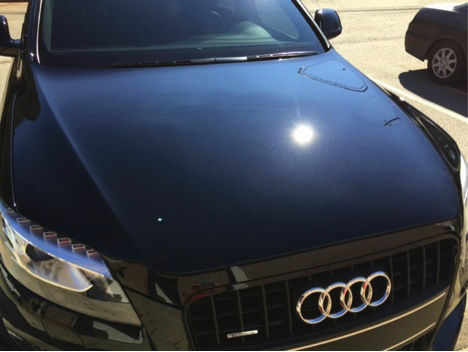 There was lots of hard work and plenty of polishing. 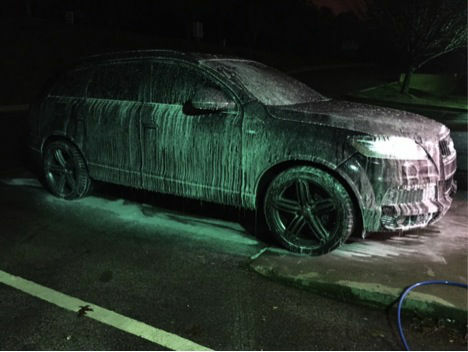 The vehicle is spending the rest of its days in Florida and the customer wanted it to look its very best for his wife at their new home. 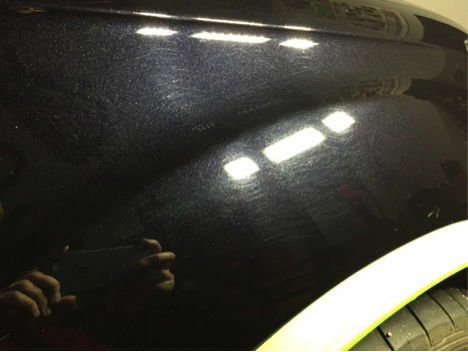 A full correction was in need to remove paint defects and a Cquartz paint coating to protect the freshly polished paint. 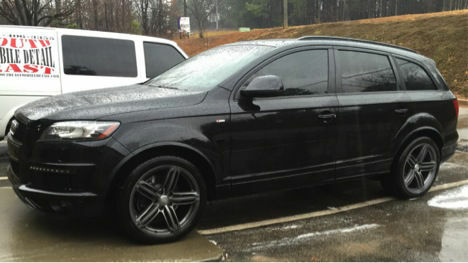 The car was dropped off with me on a cold & rainy day at my small detail shop in Suwanee, GA. doesn’t look to bad even dirty. 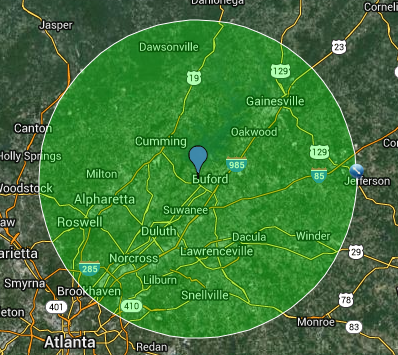 But wait and see what lies beneath the layer of dirt and debris. 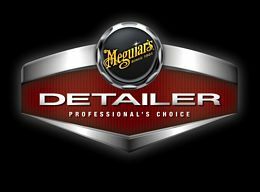 First all four wheels were detailed with a special wheel cleaner that is acid free and PH balanced. 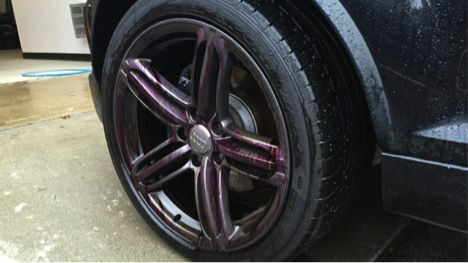 It also reacts to iron and changes from clear to purple as it dissolves iron embedded on the wheels. 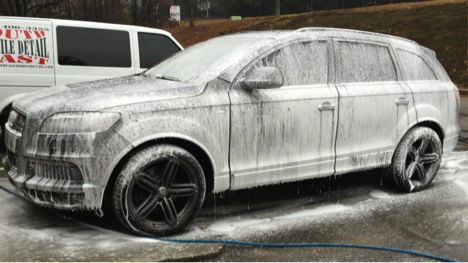 Then we treat the exterior to a foam bath to remove any and all loose debris that could damage the paint surface. 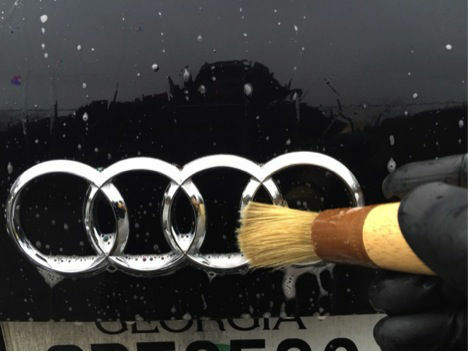 All emblems, body lines, and crevices are meticulously detailed using a fine boar’s hair brush. Decontamination finished. 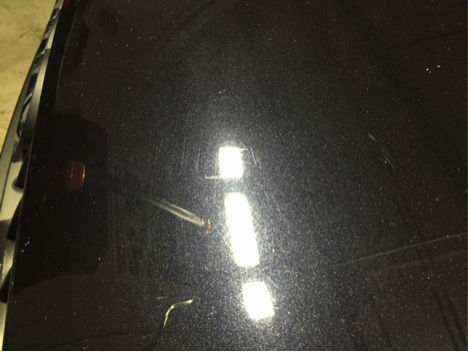 All exterior surfaces were properly clayed to remove bonded contaminants and provide an extremely clean surface to start polishing. Here are some necessary tools and supplies. 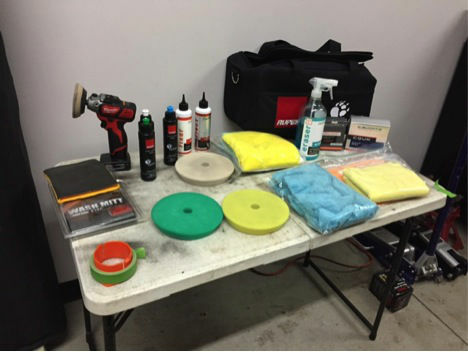 Rupes polisher and pads, Microfiber madness towels stored in bags to prevent any debris embedding into the fibers causing possible damage, Cquartz UK paint coating kit, Eraser to remove any oil left from the polishing steps, and tape to mask off any sensitive areas. Here’s the first section I did. 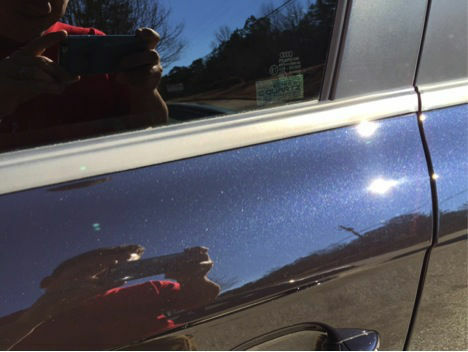 You can see the left side has been polished and the right hasn’t. 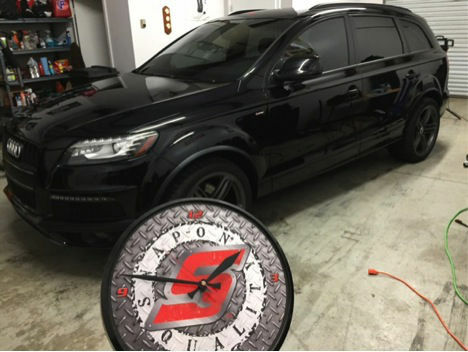 Some great before and after pics!! 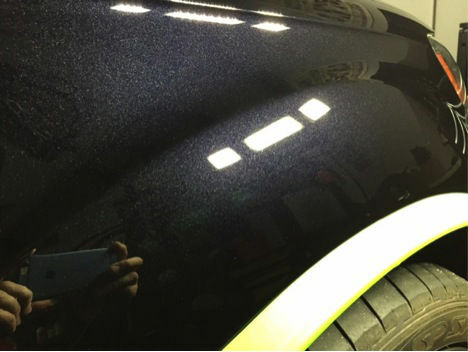 This picture shows the great depth and richness that the polishing increased. Second wash process for the day. 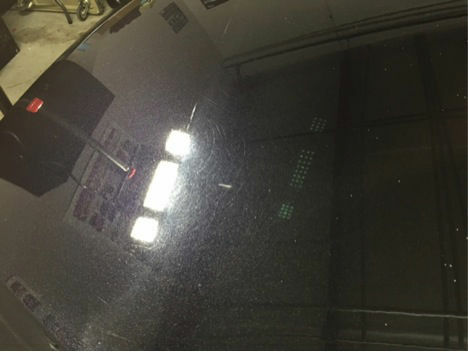 This is done to remove the heavy dust that builds up on the car during the polishing. 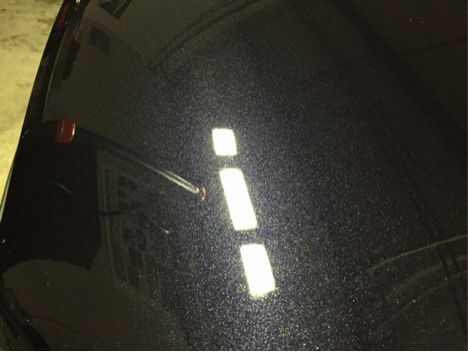 This step is necessary so no contamination is involved in the coating process. This was around 11pm. The final result turned out amazing. 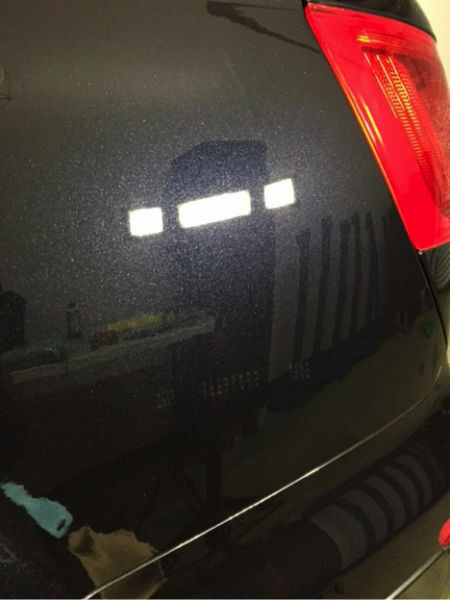 No swirls and scratches anymore! 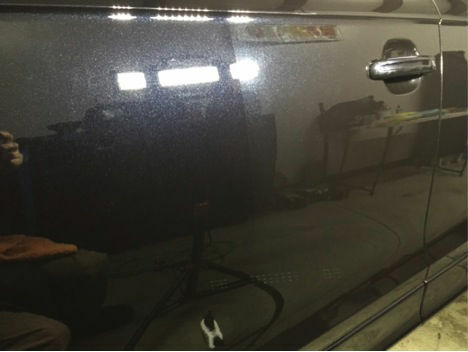 This SUV will stand out for a long time to come with the protective coating.